To Sum It Up: New York City is a ghost of its former self after an outbreak of a devastating illness wipes out the population of adults and children. Many of the remaining teenagers have joined one of the tribes that now rule the city and battle for scarce resources. 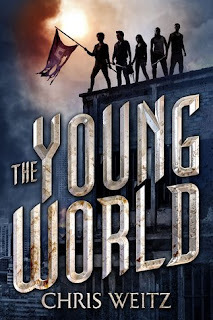 These kids have resigned themselves to a very short life expectancy, but there may be a sliver of hope for them yet if one group can somehow escape the city alive and discover a cure. Review: I will always be a complete, total, and utter sucker for books set in New York City. Of course, it’s a bonus when I end up enjoying the book, but I’m sorry to say that this was not the case with The Young World. In fact, the setting was the novel’s highlight. 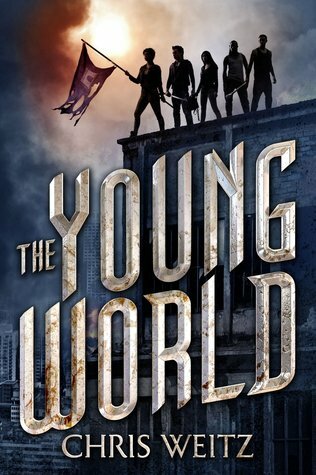 The concept of a post-apocalyptic NYC run by teenage survivors of a deadly sickness is what grabbed my attention about The Young World. I was excited to see that the core group of characters were based in Washington Square Park, right in the heart of the campus of mine olde alma mater, New York University. The book even references NYU’s Bobst Library. Just when I started getting all nostalgic about seeing several familiar places mentioned not just around NYU but around the city, I also began to realize that this was a by-the-numbers YA dystopian. Disease. No adults. Societal breakdown. Gang warfare. Quest for disease cure. Aside from my stroll down NYC memory lane, I was hard-pressed to find anything original about this story to make it stand out from other books in its genre. Simply borrowing an element of dystopia here and there and putting them together do not necessarily translate into a dystopian novel. I personally need to feel the urgency of the characters’ situation, and I just couldn’t manage it here. The characters had what I thought was a generally blasé attitude toward their plight; they know there’s no future for them, so caring about anything usually isn’t worth the effort. And if the characters couldn’t really be bothered to care, it wasn’t easy for me to do the caring for all of us. Jefferson, the leader of the Washington Square tribe, was okay as a narrator and the most developed of the characters. If his narrating duties hadn’t been shared with Donna, another member of the tribe and his friend since childhood and on/off love interest, the novel might have been quite different. Donna’s chapters contain prolific use of “like” as an interjection, and I just found that . . . unnecessary. It made an otherwise smart and pretty funny character rather annoying. Donna would repeatedly say something profound that would then be punctuated with a “like.” This became very distracting at times, and I was frustrated on her behalf because her character could have been so much more than the girl who said “like” all the time. The details relating to the illness that killed everyone except the adolescent population are sketchy at best, and that is no-no number one for me when it comes to dystopia. There’s plenty of emphasis on everything that was lost when the world went to hell, but there’s not a lot of how and why we arrived at this point. Jefferson, Donna, and the other characters make it abundantly clear that they’re barely existing in a kill-or-be-killed society, but sometimes they get too wrapped up in pondering what life was like before. Overall I felt that there wasn’t enough explanation where more was needed and too much where less would have been fine. I really tried to find some investment in the story and the fates of the characters, but alas, almost every aspect of this book and I were not meant to be. All in All: Sadly, I could not get into this or shake the feeling that it never really delved into dystopia, despite the ultra bleak descriptions of the world. Donna’s POV was also often challenging to read, and when you find yourself forcing yourself to get through every other chapter, well, you know you won’t be continuing the series. Awww Lee :( We felt the exact same way about this one, it makes me sad how this one simply did not deliver in any tangible way. The NYC setting was a huge plus for me as well, now that I've actually been it's such a thrill to recognize street names and places and all that. Beyond that though, a lot of things bugged me. Donna and her teen-speak for one. She came off ditzy and honestly annoying. The lack of world-building and direction to the plot made for a hard sell, of course - I was expecting so much more! I agree that Jefferson was the better developed of the characters though, if it had been a story told only in his POV, it might have helped but it still wouldn't have helped all the other issues this book had. Whew- I'm glad I'm not the only one who had so much trouble with this! It drove me CRAZY how everything Donna said was completely undermined by the presence of "like" everywhere in her chapters. I couldn't understand the point. And the world-building just wasn't there, either, which is such a shame because there was SO much potential with that setting! I had some hopes for this one, but now it doesn't seem all that interesting. I'm getting tired of dystopias that are all the same and it's becoming formulaic. I just read Blackout and it had similar world-building issues, and I ended up 1 starring it. Yes! Seeing NYC for yourself is definitely THE best way to enjoy it! I've also reached my limit with dystopians that merely recycle elements from other dystopians. I will make a note to leave Blackout off my TBR; thanks for the head's up! Sounds like they had a good concept that they couldn't quite execute. I hate reading a what looks to be an amazing story arch only to have it fall short of what it could have been. Matt @ JC's Book Haven. That's exactly what happened here. I think this could have been a really great story, but neither the world nor the plot ever came together. I had such high hopes for this one. It really sounds like it will be an excellent story. I'm with you though, if you have to force yourself through every other chapter, it's definitely a no go. Great review! Jaclyn @ JC's Book Haven. I almost felt like I was skimming Donna's chapters because the way that they were written- argh! All those "likes" made her POV really hard to read. Oh Chris Weitz! The director of New Moon! It's too bad this didn't really live up to expectations because the premise does sound good. But everything you mentioned that annoyed you about the story would annoy me too. I would have needed more world-building to really get into this dystopia. And I totally agree that if the characters don't care than I'm more than likely not to either. I loved the adaptation Chris Weitz and his brother did of About a Boy with Hugh Grant but this book.... To me, dystopians need the right amount of world-building to make the dystopia plausible, and that was really lacking here.